I will say that Sebadoh's III is only slightly better (and oddly more complex) than Bakesale, but with an opener like License to Confuse who can really complain? And then my favorite Prince album which is not a Prince album. I like Prince but never for a whole album but I think he was at his best when these two ladies, Wendy Melvoin and Lisa Coleman, were part of his band The Revolution from 1984 to 1986 because they added a kind of psychedelic kind of funk on albums like Purple Rain and Around The World In A Day that made these albums better. When Prince decided to decided to break up the Revolution, Wendy and Lisa decided to team up in new project together with some other family members and this album is to me by far their best. It is only ranked 21312, so in my opinion this album deserves a bit more love around here. I don’t know but each of the tracks here have some kind of special quality and depth that I really like and I hope that I can convince you to listen to it. Rainbow Lake: at first view very lazy easy going song but what a fantastic flow and melody to it. Strungout: this is very much psychedelic Prince but to me the singing and general flow is much better. Staring At The Sun: the closing gem of the album where they again show what great musicians they are. The real controversy I’m trying to create here is that generally two albums are viewed as their masterpiece: the epic double album Zen Arcade and the hard New Day Rising. But I want this album to get more love. I've only listened to each once, but in my first impression I can see this being a worthy contender with Zen Arcade, even if it might not surpass it. In contrast to Fischman, I love the relentlessness, and I enjoy letting the waves of noise wash over me; it's oddly relaxing. Haven't heard New Day Rising yet, but it's on my to-do list. After two consecutive not-for-me entries, I was doubting finding more common ground. ...at least the vocals were obviously a cut above the usual overprocessed artificiality usually endemic to such music. So I stuck with it despite the first two cuts being throwaways for me. I'm glad I did, A number of later cuts showed some real imagination. Standard dance beats got groovy and funky, instrumentation got more interesting, and actual songwriting showed up. Skeleton Key and Staring at the Sun were particularly good. After two listens, I give it a 65 and rank it 4th of the seven on the list heard so far. Midnight Oil is an Australian band with a mission. They started as a very political band with fixed views on aboriginal rights and environmental and social issues and they maintained this view throughout the whole of their career but that never stood in the way of good songs. This is just one of those bands that makes you happy when you hear one of their songs, let alone a whole album. There are some good songs on this album, but instead of being timeless and universal, in general it sounds very dated and very dependent on the context of place. I can appreciate their political activism, but the conveyance of the political messages here feels a bit clunky and cheesy to me. They kind of remind me of Johnny Clegg - white musicians in former British colonies who simultaneously made polished, lyrically on-the-nose music criticizing colonialism and racism (and in Midnight Oil's case, environmental destruction too). Except Johnny Clegg's bands were multiracial and he learned Zulu. This is not a bad album, but it's probably my least favorite so far. David McComb is one of the best singers I know…….and one of the best songwriters with sometimes very romantic bitter songs without never ever sounding corny. And he was the singer of one of the best bands I know: the Triffids although he also released a wonderful solo album in 1994, Love Of Will. And unfortunately he died too soon in 1999, just 37 years old. 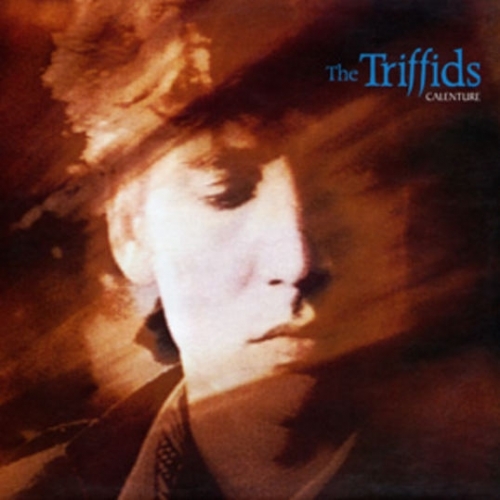 But The Triffids was his main band formed in 1980 in Perth and their music literally breathed that wide open Australian landscape. They released some good albums/EP's but their career really started with the classic Born Sandy Devotional of 1986. This album still had an alternative atmosphere but it wasn’t until their two next albums Calenture and Black Swan they dared to show their full romanticism. And also not to be forgotten is the role of Jill Birt, one of those female rock icons you just had to fall in love with if you were a young man at the time (the other two being the two Kims of Sonic Youth and the Pixies). In the first albums until Born Sandy Devotional her lead role was fairly limited and if she did sing it was clear that there were a few false notes but in the last two albums her role became much more important (just listen to the wonderful Goodbye Little Boy on Black Swan). But my favorite album of theirs is Calenture of 1987, a fairly baroque and very eighties album mainly about love and lost love as so many albums but the poetic way in which many of the tracks are delivered is breath taking. And also produced by Gil Norton. The opener is Bury Me Deep In Love : I suppose this must be the most “romantic” crooner song in their career. They reached the top of their popularity when this song was used as the song accompanying the marriage between Madge and Harold in the Australian soap Neighbours. But what a great song it is though and in some ways the song has very much the orchestral grandeur Scott Walker with the Walker Brothers could create. Kelly’s Blues is just a good Triffids song but is introduced soft voiced by Jill Birt and has a lot of variety to keep it very interesting. Hometown Farewell Kisses has a very country twang but again David’s fantastic voice rules and Open For You never fails to endear me as the simple but beautiful duet with Jill Birt in the background while Holy Water is saved by the bells. Blinder By The Hour is another beautiful McComb ballad in which he shows his very versatile voice at his best which sometimes is alike the one of that other Mac, David McCullogh of Echo and The Bunnymen. Vagabond Holes is the most rocking song on the album and Jerdacuttup Man is a strange song about a man getting mummified in an instant (‘Frozen in Business and Frozen in Love’) and ending up in the British Museum. The title track Calenture is a lovely little gem of a piano song and finally what a voice on the closer Save What You Can. In 2007 this album was remastered and re-issued as a 2CD version. I initially wanted to include another similar romantic album and an equally incredible voice (Robin Proper-Sheppard) in my list but Baystate pm’ed me it isn’t available everywhere. It took me a while to enjoy Calenture when I bought it - it's a very 1980s production. Eventually it took hold though, and now I'd rank it highly. I do think the song not by McComb - Jill Birt's 'Open For You' - isn't up to the standard of the rest of the record. My favourite track is 'Holy Water' - at least partly because it stands out against the stately material with its guitar strumming. When I look at the highest ranked artists from Belgium, dEUS is at the top rank and rightly so because they really have their place in the world’s alternative music scene. They started their career in 1991 in Antwerp, Belgium, which at the time had an important avant garde music scene and dEUS too took their influence from everywhere from rock to jazz to Beefheart to folk. The driving force in the band was and is Tom Barman who is of Norwegian origin but the other members have also always had a large influence although the line-up changed often over the years. One important element though is the inclusion of a violinist. They released a fairly influential four track EP in 1993, Zea, but their main success came with their first CD Worst Case Scenario which was something never heard before. For example Suds and Soda which is in fact nothing more than a repetitive shouting of “Friday, Friday” by guitarist Stef Kamil Karlens was catchy as hell but still had a very experimental feel to it. Also their next two albums had a very large impact: In a Bar, Under The Sea, which was still very experimental but also contained a number of beautiful pop songs, and of course their third album. Put The Freaks Up Front opens and ends with screeching guitars and then turns into a very beautiful song driven by a flurry of different instruments apart from the driving guitar/bass/drums combination. There’s also some very good background singing. The perfect opener. 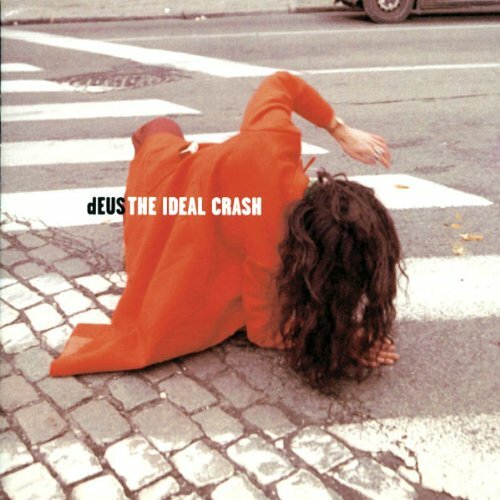 Sister Dew and The Magic Hours are two of these slows that dEUS is very good in. Further on on the album there’s also Magdalena. And then Instant Street: starts as a gently flowing river (even introducing a banj) to end in a guitar coda which is to me one of the best guitar solos ever. This year is the album’s twentieth birthday and this is celebrated with seven concerts in the most known Brussels venue, the AB (Ancienne Belgique). After a solo career he, now 70, is again performing with part of his old band under the name Tjens Matic and again rocking as hell. If you’re looking for something special, check out this band. This thread was my first experience with Sebadoh and I am now perplexed by why Pavement gets so much more acclaim when they should be in the conversation. And also a little offended as someone living in the Pioneer Valley lol. Yeah, Bakesale is very good and a potential grower that I will have to go back to. Yeah. Sebadoh's III and Bakesale are two quintessential lo-fi indie rock albums. Right up there with anything released by Pavement. GBV's Bee Thousand & Alien Lanes are right there too. Tose are the big three for sure. I LOVE Sebadoh's first two albums of weirdness too - The WEED years.